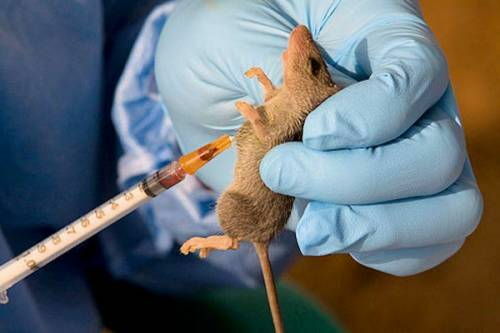 The Ondo State government on Saturday confirmed that nine persons have died of the Lassa fever outbreak in the state. It also declared that a total of 102 cases of the epidemic have been reported in 8 local government areas of the state. Sahara Reporters had earlier reports that among those affected local government are Akure South, Akure North, Owo, Ose, and Akoko Southwest areas of the state. Governor Rotimi Akeredolu revealed this during a state-wide broadcast monitored by our correspondent in Akure. Mr. Akeredolu explained that laboratory results have been received for 79 cases of the symptom while others are still being expected. He added that 36 out of the cases which were obtained from the laboratory results have been confirmed by the government. "..36 out of the 79 reported cases from the laboratory have been confirmed with 9 deaths recorded," the governor said. He disclosed that 127 hospital and 308 community contacts were also listed in the affected local government areas and 30 have completed their follow up. Governor Akeredolu also stated that the patients are now being managed at the Federal Medical Center (FMC) in Owo. He added that the confirmatory tests are being carried out at the Irrua Specialists Teaching Hospital, Irrua in Edo State. According to him, the state government was already taking step and measures to contain the spreads of the disease to other local areas. "Emergency preparedness and response team has been reactivated at both the state and local government levels." "Active surveillance is going on in all the 18 local government areas with contact tracing in the affected local government areas." "Sensitization and community mobilization are going on in all local government areas: traditional rulers, religious leaders, political leaders, market women and other stakeholders are being sensitized." “Publicity is also ongoing through radio jingles, radio and television discussions in our media houses. "”Information, education and communication materials such as handbills, flyers, and posters have been produced and these are being distributed throughout the local government areas". Akeredolu posited that the expansion of the infectious disease isolation units at the Federal Medical Center (FMC) in Owo is being done through the support of the present administration. The governor further noted that vehicles have been dedicated for transportations of samples and referred patients to Irrua Specialists Teaching Hospital, Irrua, Edo State. He also mentioned that some personal protective equipment and drug including hospital beds had been donated to the Federal Medical Center (FMC) in Owo. “Some nursing staff was also released by the state government to the treatment center to support the management of the patients," added Akeredolu. Mr. Akeredolu later appreciated the non-government organizations in the country who have come to the aid of the state. He also asked the residents of the state to use preventive measures in order to tackle the dangerous killer disease.